Fashion is a highly visual industry, which explains why Instagram is the social network of choice for lovers of style. But there is far more fashion content online than what people share on social media. It has always been a strong niche for blogging. 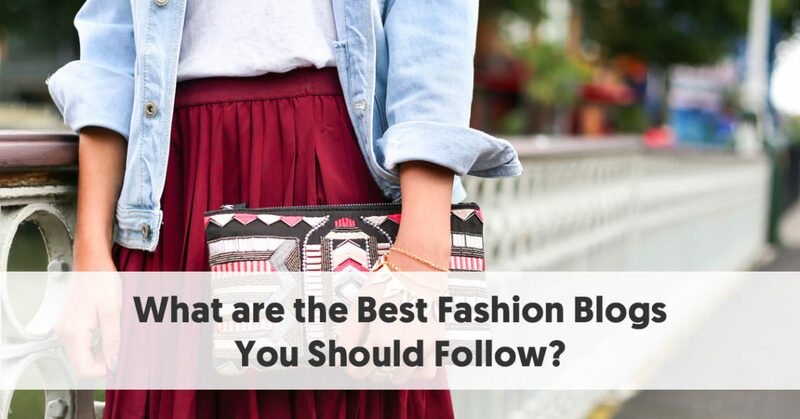 There are many quality fashion blogs, which unsurprisingly feature high-quality photographs of the latest fashion innovations. Most fashion blogs are full of inspiration for those mornings you open your wardrobe door with your mind in a blank. They make an ideal place to begin your online research into what’s hot this year before you head off to purchase your own outfits. They can also provide you with ideas about what you can mix and match to create that perfect look. The successful online fashion bloggers are as much influencers as the big names who post fashion images on Instagram. Indeed, most of these fashion bloggers have an active Instagram presence as well. Atlantic-Pacific’s creator, Blair Eadie can be considered a real fashion influencer. She started as a Gap Inc merchandiser 11 years ago and has been part of the fashion world ever since. She has built up a substantial social media following, including over 1.1 million Instagram followers. Blair recognized how street style was shaping fashion and created Atlantic-Pacific in 2010 to help develop the conversation. Since then she has noticed the industry reshape from the inside out. She has worked as an influencer with many brands, including CoverGirl, Gucci, Nordstrom, Target, Tory Burch, Sephora, and many more. She has also collaborated on global campaigns with luxury brands such as Vogue, Elle, Harper’s Bazaar, Who What Wear, Refinery 29, Style Watch, and more. She has ensured that Atlantic-Pacific is a highly visual platform, showcasing eye-catching fashion. Summer Yellow Picks – Which Hue are You? Australian style expert, Carmen Hamilton, created the Chronicles of Her blog in 2011. It aims to be a daily destination about real style and life. Carmen curates the bog, aided by a team of other fashion identities. It features many of the coolest women from around the world, showcasing the outfits they wear on a daily basis. The Chronicles of Her also aims to educate, teaching fashion and beauty tricks to the blog’s followers. 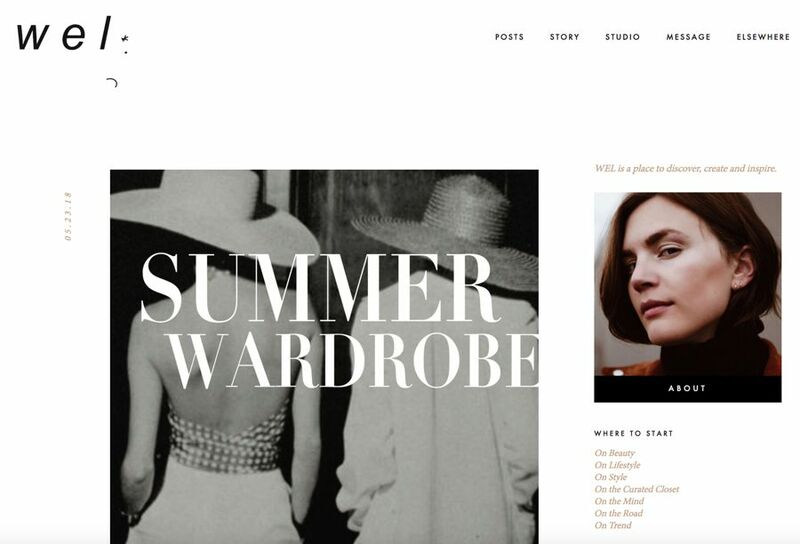 The Daileigh’s Ashleigh Hutchinson offers articles and courses to help her readers build the perfect closet. She aims to help women aged 20-70 to create a style they love. Ashleigh includes quite a few fashion eBooks on her site, as well as blog posts and beautiful fashion photography. She even holds online webinars to help people improve their fashion sense. The Daileigh is very much Ashleigh’s per project. She stresses that she built the site herself, without a team. She does acknowledge the support of her family and friends, however. Egg Canvas is the visual journal of NYC-based design director and photographer, Erica Choi. 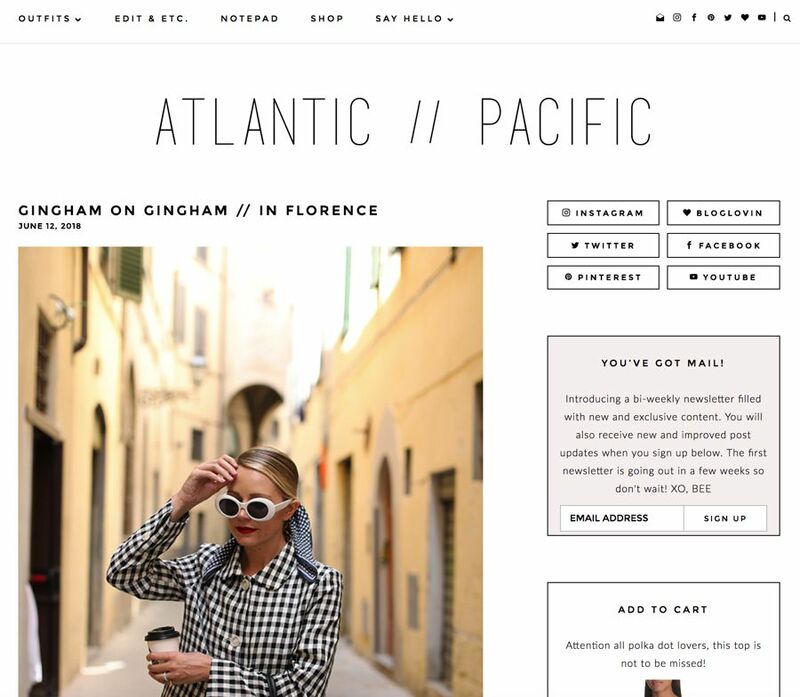 It focuses on fashion, beauty, travel, and lifestyle. Erica gained inspiration for the blog’s name from her childhood nickname that implied her face shape resembled that of an egg. She sees the words ‘egg’ and ‘canvas’ as working together to represent creating life as a blank canvas. As with many of the blogs, the posts on Egg Canvas are predominantly visual – with the main text being the occasional photo caption supplemented with a few paragraphs of explanation where necessary. The blog also includes a sizeable section showcasing the latest New York Fashion Week. 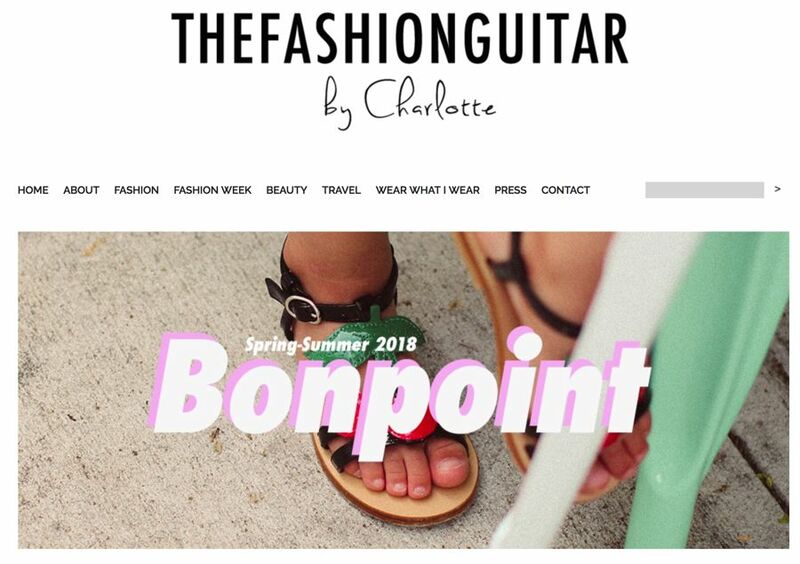 The Fashion Guitar is the online home of Dutch-born Charlotte Groeneveld-Van Haren. Charlotte is now a New York-based mother of two. Charlotte had worked with several fashion blogs in a former job, so decided that she would like to create one herself. With the arrival of her children, she also started to cater to mothers and mothers-to-be. Charlotte loves the opportunity to work with her favorite brands and designers – but she only collaborates if she feels a genuine connection. Although the stereotypical fashion image is of an ultra-thin model showcasing the latest clothing designs, the reality is somewhat different. Few of us have the ultra-slim profile. Many people carry a few extra pounds and struggle to imagine themselves wearing what you typically see on the catwalk. It was created by Tanesha Awasthi who has now become one of the world’s favorite plus-sized fashion bloggers. She tries to help “real women” solve their fashion problems, along with the other areas they struggle with like self-esteem, body, image, and motherhood. The blog includes trends, style tips, beauty advice, parenting, and wellness – all with its plus-sized audience in mind. 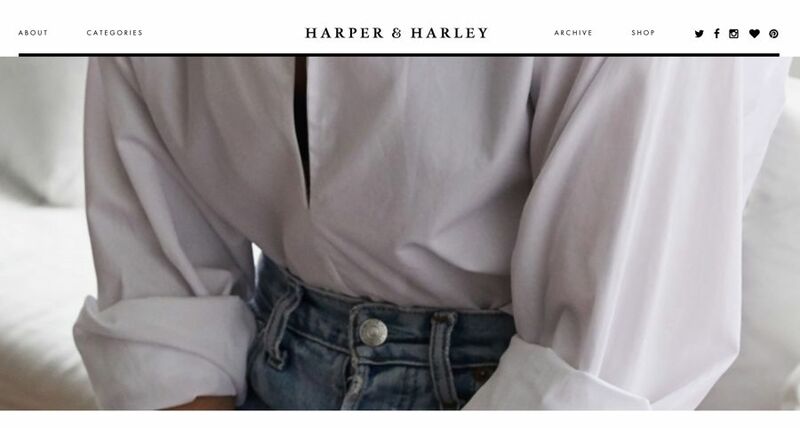 Australian Sara Crampton (nee Donaldson) presents the Harper & Harley blog – ideal for those with minimalist tastes who love black, white and gray. Sara has run her blog since 2008. It follows the ‘less is more’ philosophy. Sara starred on the reality show Fashion Blogger and has worked with global brands such as Estée Lauder, Jaguar, Dyson, Loreal, YSL Beauté, Uniqlo, Gucci, and Nike. Hello Fashion, by Christine Andrew, features a range of posts covering beauty, family, life, travel, and of course, fashion. Christine comes from Bogota, Colombia and is half Colombian, half American. She has been blogging since December 2011, initially sharing her favorite sales, buys, and fashion finds. She currently blogs from Salt Lake City. She has sold her own clothing line, ILY COUTURE since 2011. Christine knows much about dressing well, having appeared on the Vanity Fair Best-Dressed List. Kyrzayda Rodriguez has created a self-titled blog showcasing her passion for style and creating beautiful content. Although she created the blog in 2013, it took a year to take off. In 2016 Kyrzayda began blogging fulltime. Many of her posts are highly visual – showcasing the same types of images usually shared on Instagram. This is particularly relevant in her OOTD (Outfit of the Day) category. She shares luscious photos of her day, detailing everything she wears. 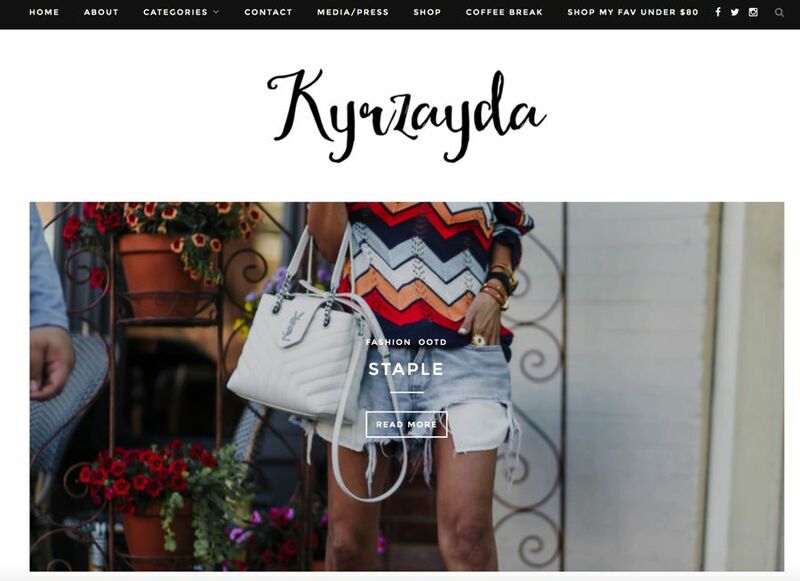 Kyrzayda provides links to where you can buy what you like. Her followers apparently like to share her OOTD. There are always plenty of comments from her fans giving her opinion on the outfits. Kyrzayda also operates a shop from her blog, which links to the appropriately named kyrscloset.com. Like many of her fellow fashion bloggers, Kyrzayda covers more than just fashion. She also includes posts on other topics her fans show an interest in – fitness, beauty, lifestyle, and travel. Olivia has built up a reputation as an influencer and been featured on Barneys, Teen Vogue, and Elle. Unsurprisingly, all of the posts are lavishly illustrated, and Olivia has a robust Instagram presence. My Fash Diary describes itself as a “style diary.” It considers fashion to be what others decide is in, while style is what you believe is in. The blog’s editor is Chicago-born, Dubai-based Tala Samman who is of Syrian-heritage. 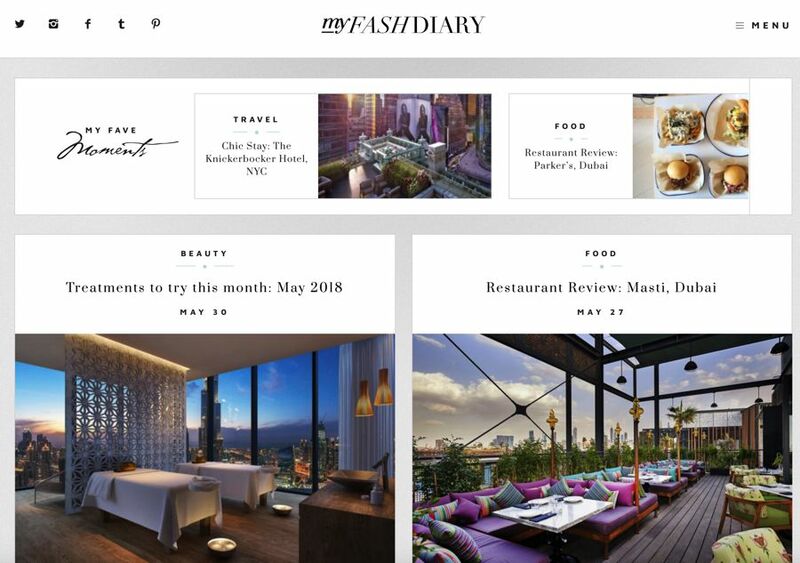 Although the blog’s name indicates the importance of its fashion section, there are posts on beauty, food, and travel, as well as fashion. The blog has gained international recognition, and has been nominated for Ahlan! Magazine’s Best at the Dubai awards, Marie Claire, UK Blog, and Twitter awards. Tala has also been recognized in prestigious publications The Guardian, Grazia UK, Grazia Middle East, Harper’s Bazaar Arabia, and Marie Claire Middle East. 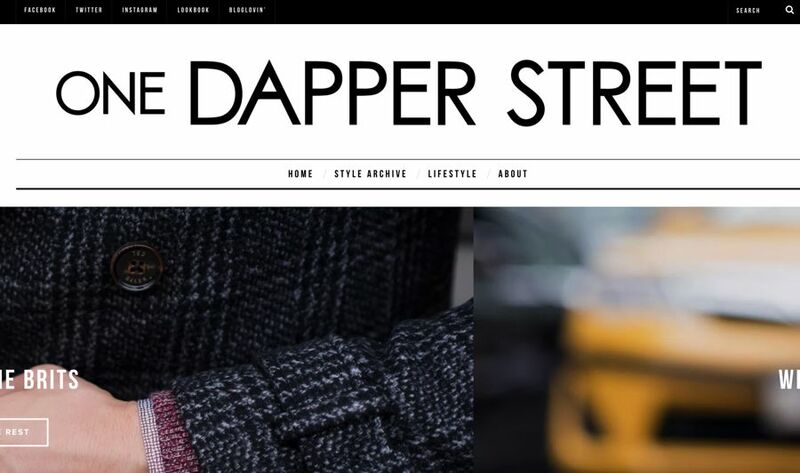 Our first blog to focus on male fashion is One Dapper Street. This blog is the online home of Marcel Floruss – “a German dude who loves fashion and all that goes with it.” Fashion is clearly Marcel’s passion, and it has brought him from Germany to New York City. Marcus went to fashion school in New York and modeled before turning his hand to blogging. He also loves shopping and photography, so he combined his passions to create One Dapper Street. The site contains a range of highly visual articles on a variety of style and lifestyle topics. 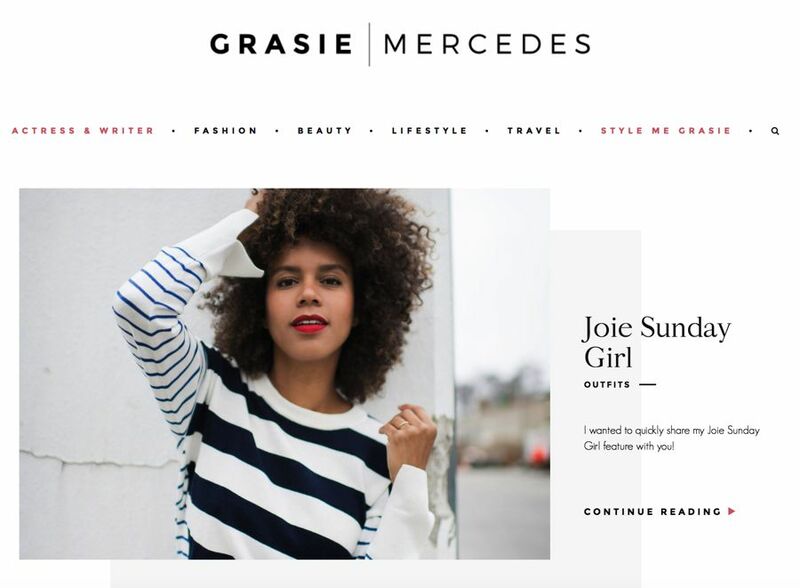 Style Me Grasie is another blog that, although fashion focused, has widened its topics to include other subjects loved by its typical fan – posts on issues such as beauty, travel, and home inspiration interspersed with fashion features. This blog is the online home of actress and writer, Grasie Mercedes, currently based in Los Angeles. She is Dominican by birth. She actually has four names, but she is best known by her grade school nickname, Grasie. As with most of these blogs, her posts feature luscious photography, focussing on people wearing the latest “in” fashion. A significant section of the blog is “Outfits,” and this predominantly features what Grasie wears in her daily activities. The posts are highly visual, with captions describing the outfits worn, often explaining why Grasie likes and wears particular items. She generally includes links to sites where her fans can buy items to emulate her look, often giving alternatives in various price ranges. 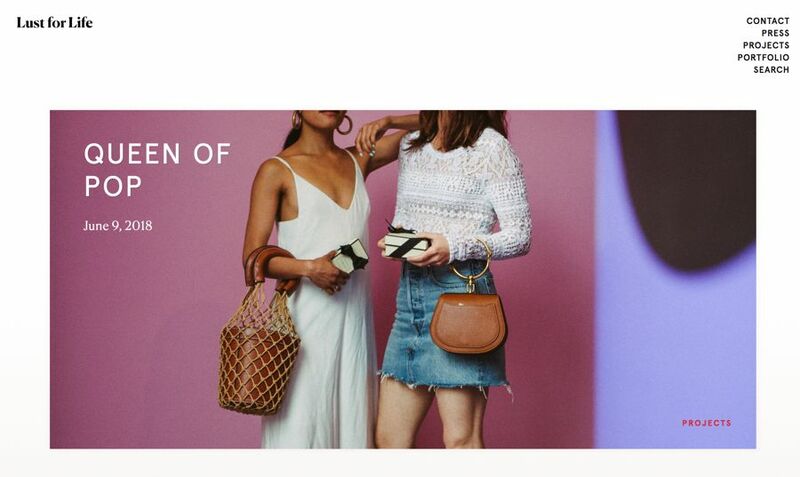 The blog came about because the former girlfriend of South African blogger Sergio Ines liked documenting his outfits and started posting them on Instagram. 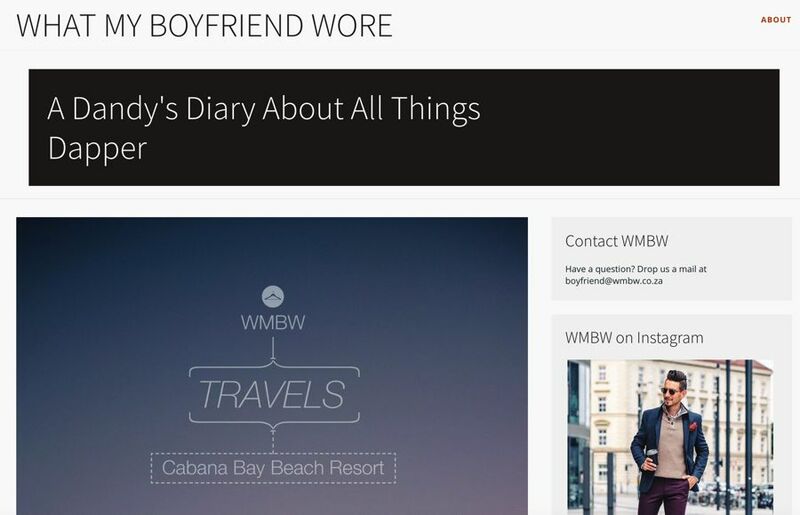 The blog now focuses on fashion and styling for normal men. It covers many aspects of men’s fashion, from Menswear 101 to Outfit of the Day to Dressiquette. For instance, there are fascinating articles entitled “Braces or Belt, Never Both,” “Match Leather to Leather and Metal to Metal,” and “Dressiquette – Your socks should match your pants.” (Although your socks should match your pants, not your shoes, Sergio believes you only need to worry about this in formal situations – he prefers high-contrast brightly colored socks).